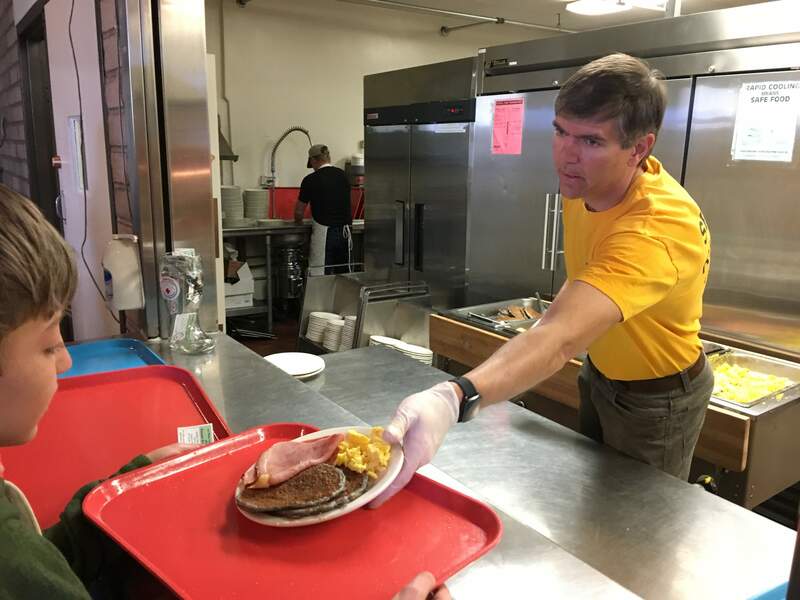 A volunteer with La Plata County Search and Rescue serves pancakes, eggs and ham Sunday morning at the La Plata County Fairgrounds. The pancake breakfast is a Snowdown event and a fundraiser for Search and Rescue. 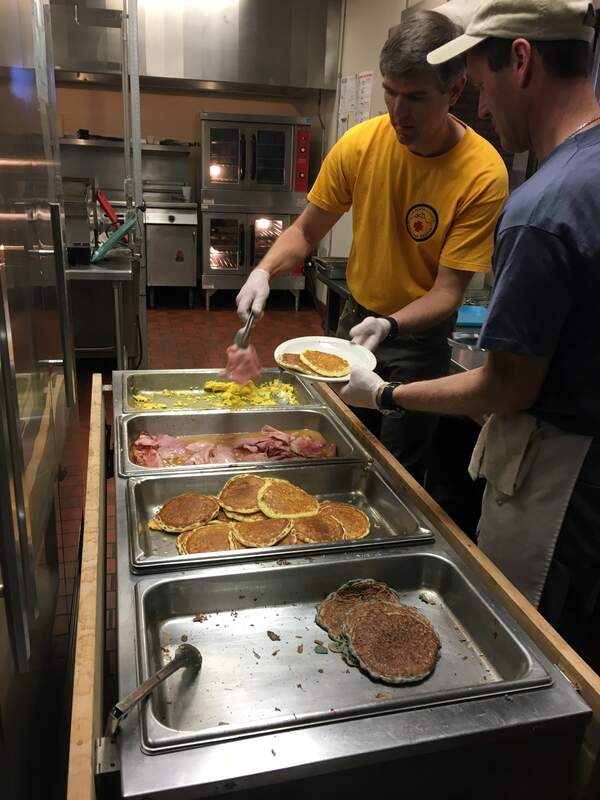 Volunteers with La Plata County Search and Rescue serves pancakes, eggs and ham Sunday morning at the La Plata County Fairgrounds. The pancake breakfast is a Snowdown event and a fundraiser for Search and Rescue. 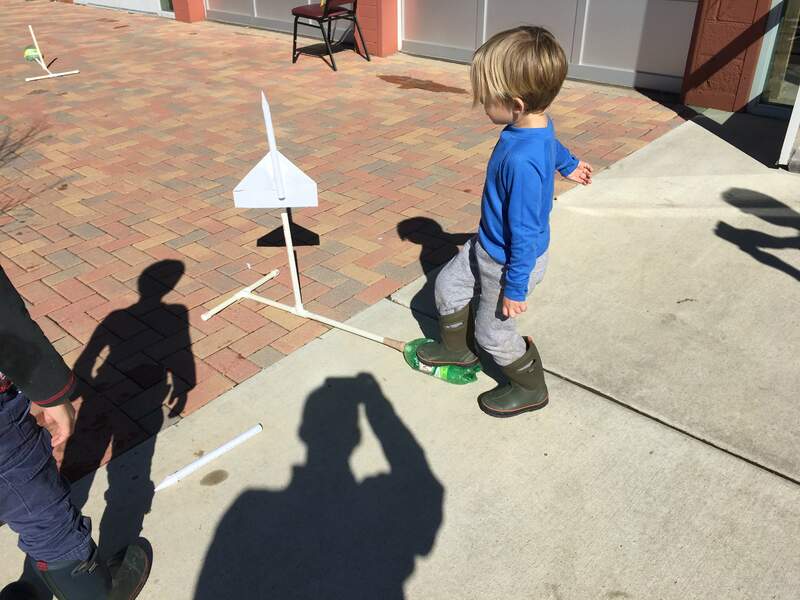 Kids made rockets, paper airplanes and Martin slime Sunday at the Powerhouse Science Center in Durango. The Snowdown event, called “A Galaxy of Fun,” incorporated this year’s “intergalactic” theme. Snowdown came to an end Sunday in Durango, swallowed up like an unfortunate particle that strayed beyond the event horizon of a supermassive black hole. The five-day winter celebration featured low-brow games, alcohol-infused competitions and a host of mainstay events – the Follies, Light Parade and Fashion Do’s and Don’ts – but with an intergalactic interpretation. 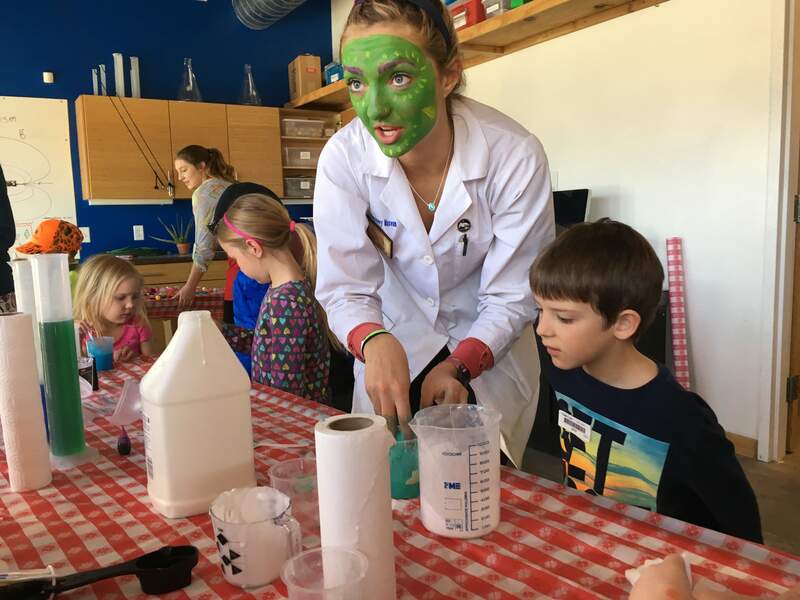 Hundreds embraced this year’s theme by dressing up as aliens, robots, avatars, space monkeys, Star Wars characters and many others. A 20-foot tall rocket landed in the middle of the one of the busiest intersection on the Western Slope – Camino del Rio and U.S. Highway 160 – which briefly displayed the infamous Arc of History. And longtime participants mourned the loss of one of their own, Adele Nielsen, 68, who fell off a stage and later died from her injuries. But like a comet circling the sun, Snowdown will return. Next year’s theme is “Still Sporty at Forty!” a nod to Snowdown’s 40th anniversary. The Winter Olympics will begin about a week after Snowdown 2018, and organizers predict participants will embrace a sporty theme, either traditional or nontraditional, said Julie Oskard, Snowdown’s minister of propaganda. But every theme is open to interpretation, she said, and it is possible some people will look to the 1940s decade for inspiration.